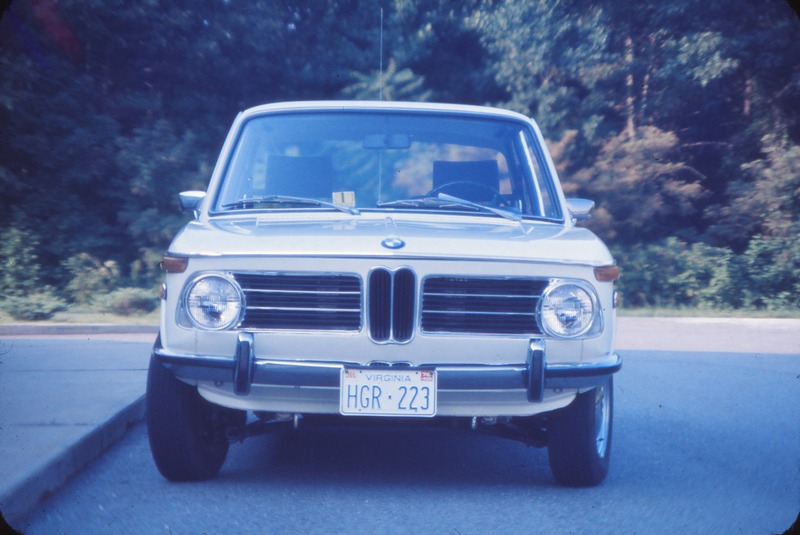 BMW 2002tii 2761282 (Chamonix) was manufactured on March 27th, 1972 and delivered on the same day to JBS in Frankfurt/Main (a military sales contractor). 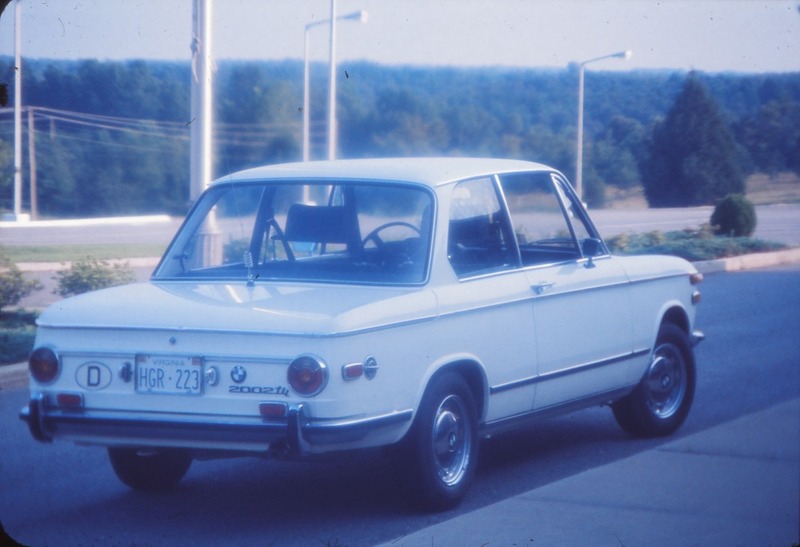 I purchased the car in Karlsruhe from its original owner in May 1973 for $3650, and brought it back to the US in 1975. Probably because of this non-standard delivery, 2761282 is not recognized in many of the online VIN indexes (e.g. RealOEM. com), but the manufacture and initial delivery have been confirmed by BMW Group Archive. In 1976, I traded 2002tii 2761282 for the purchase of a used 1975 Datsun 280Z ($2600 trade-in value), and have regretted that decision for a long time. The 2002tii was last seen at Platte Avenue Datsun in Colorado Springs, where it was quickly scooped up by persons unknown. The most positive outcome of the trade-in was that it facilitated my long-term relationship with 1976 BMW airhead motorcycle R75/6 4946226, which still resides in my garage. Good story, entry, and photos! Is the rear-deck-mounted antenna a radio antenna or a CB antenna? Nothing odd here JMMc: RealOEM only recognizes manufacturing month and year on 1974 and newer ‘02’s. Thanks for the feedback and for noticing the antenna! The AM/FM radio antenna on the trunk lid came with the car when I bought it. I have never seen another like it, either in Germany or in the US (and I have been looking). 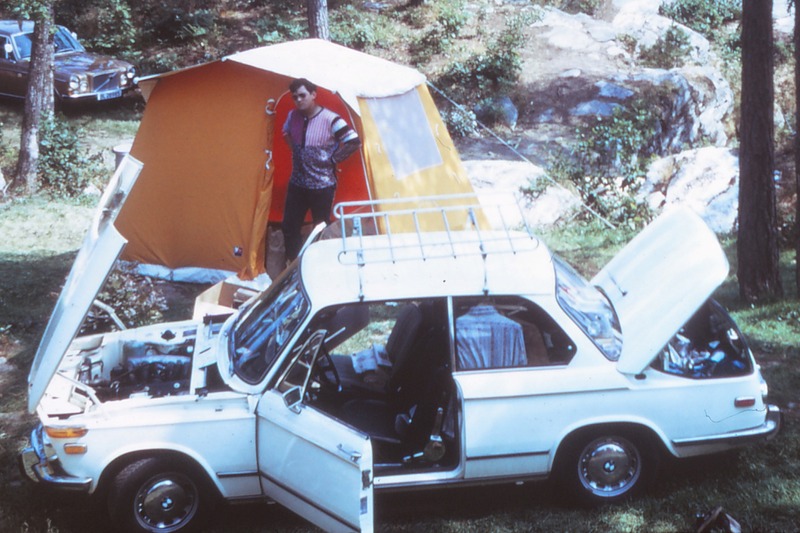 As you can see from the camping picture, it required a hole through the trunk lid, and it was very springy and compliant. After the first time closing the trunk, you learned where to stand so it would not slap you on the head. There were no A-pillar holes to indicate that any other antenna had ever been on the car. My under-bumper foglights were stolen during the shipment home. My driving lights and the rear fog light did not pass the VA state inspection by people not accustomed to seeing them. The "D" country sticker covers the hole where the rear fog light used to be.